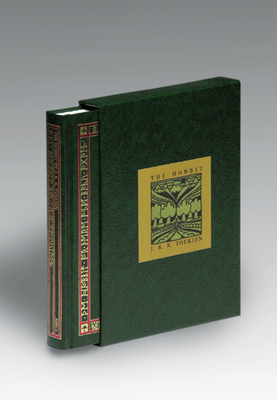 This deluxe collector's edition of Tolkien's modern classic is boxed and bound in green leatherette with gold and red foil rune stamping on the spine and cover. The text pages are printed in black with green accents. It includes five full page illustrations in full color and many more in two color in addition to Thror's map -- all prepared by the author.